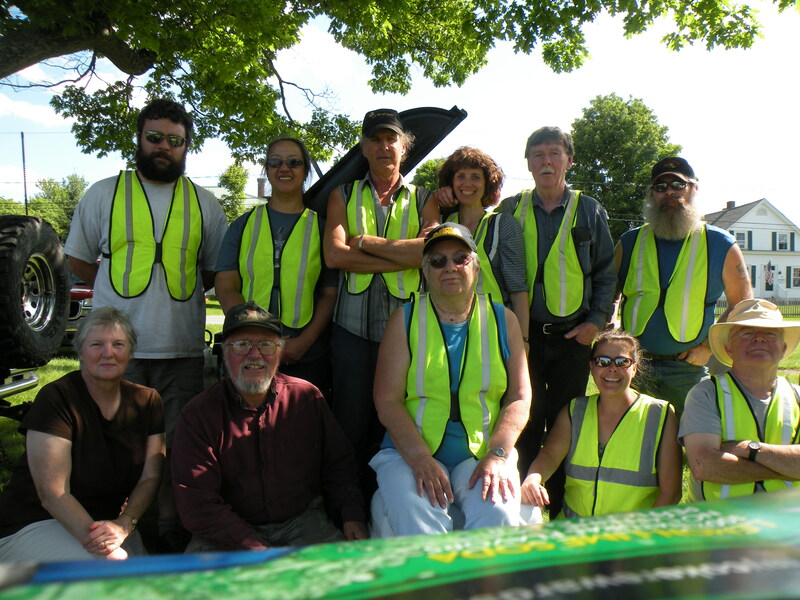 Standing, L to R, Sam Swope, Peggy Cahill, Tim Cahill, Laura Wilson, Ed Clark, Will Berry. Seated, L to R: Susan McVetty, Richard Burgess, Elvina Allen, Lynn Berry, Alfred Mcvetty. 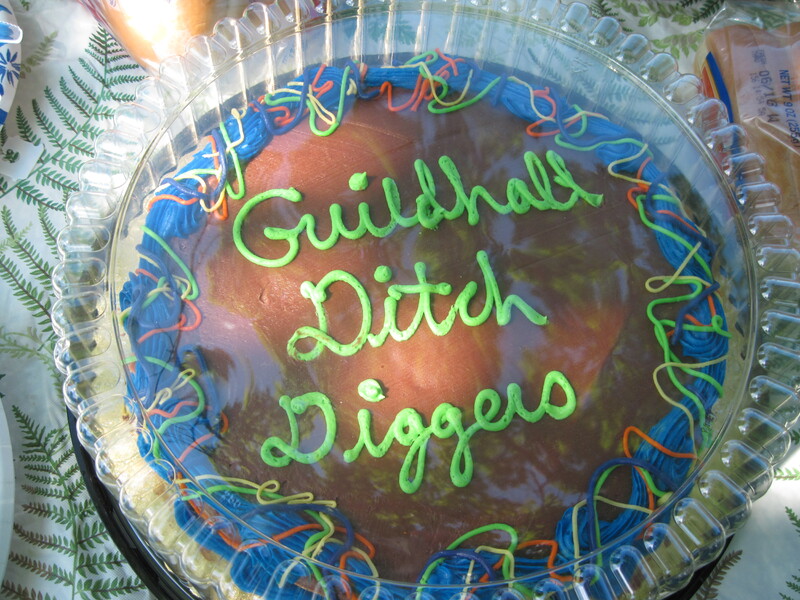 On Saturday, June 9, a group of Guildhall residents teamed up, donning safety vests, bug repellant and gloves to dig out culverts, trim branches, remove debris and otherwise tend to Guildhall’s Class 2 and 3 roads. Selectboard members Tim Cahill and Susan McVetty planned the event. Cahill acted as captain, designating areas in need of attention and generally supervising the division of labor while Susan McVetty oversaw food, drink and other supplies for the day. 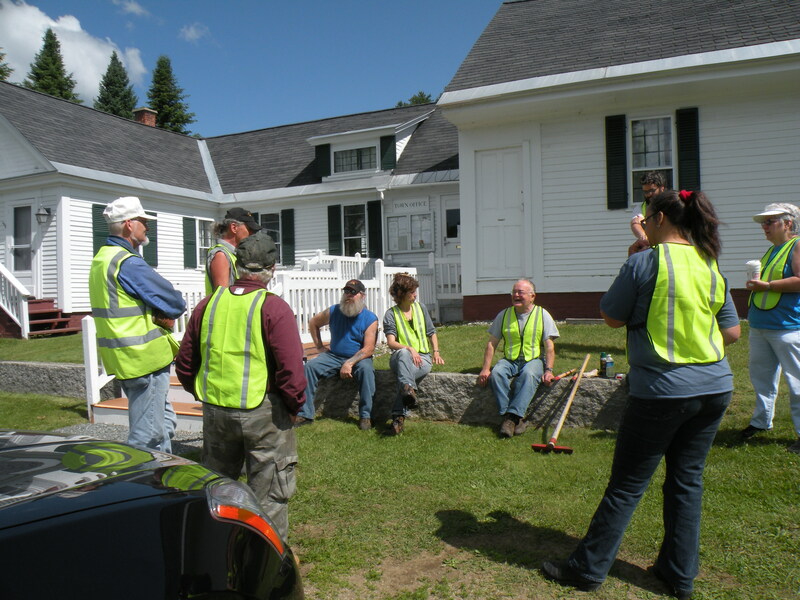 Volunteer road crew gathers at Guild Hall before heading out. Participants included: Tim and Peggy Cahill, Ed Clark, Laura Wilson, Susan and Alfred McVetty, Elvina Allen, George Blakeslee, Richard Burgess, Will and Lynn Berry, Sam Swope, Becky Bacon and Patricia Rogers, along with her grandson Thomas Rogers, Jr. Bob and Claire Macilvane were unable to attend, but instead donated money for supplies and water. 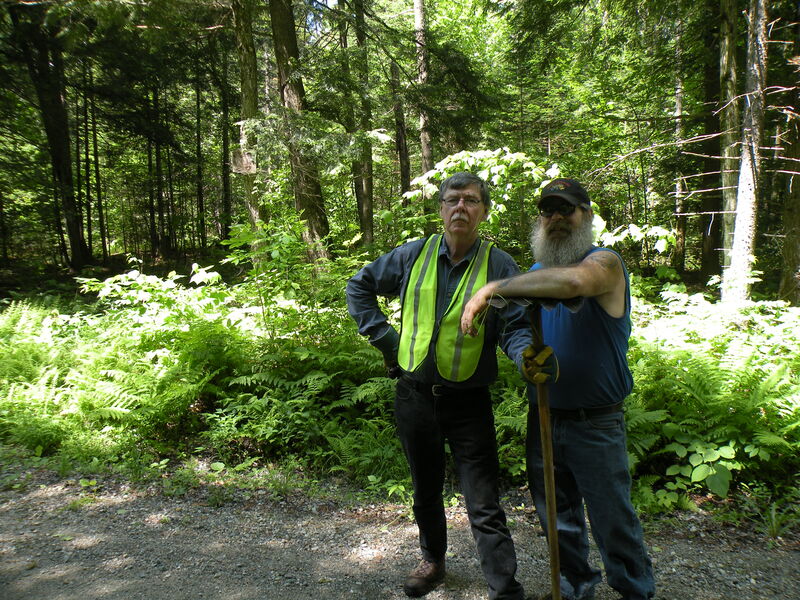 Ed Clark and Will Berry, on Fellows Rd.